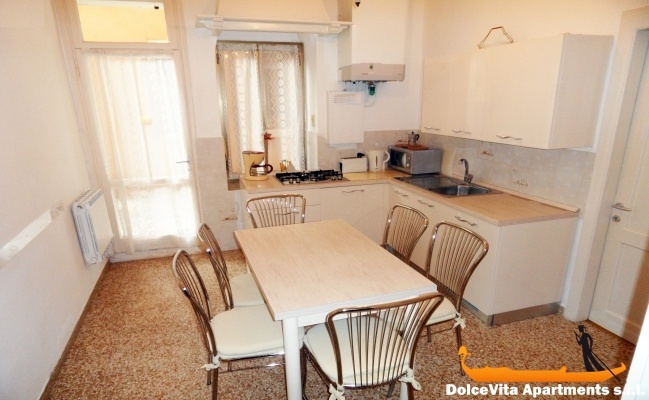 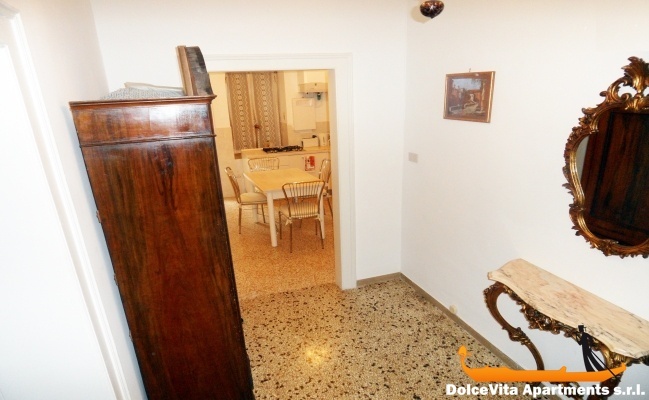 Apartment N. 102: It can accommodate up to 6 people, it is rented from 119 € per Night (not per person). 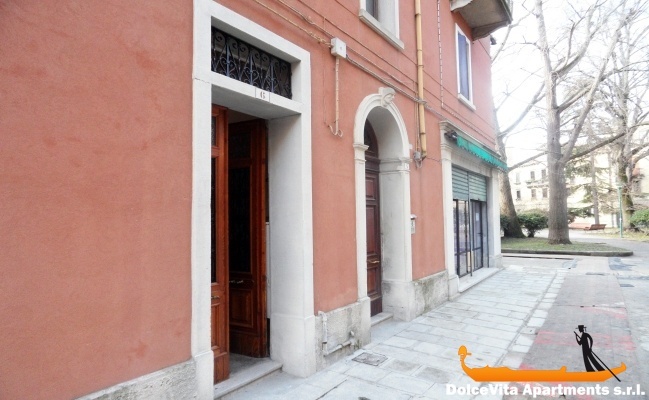 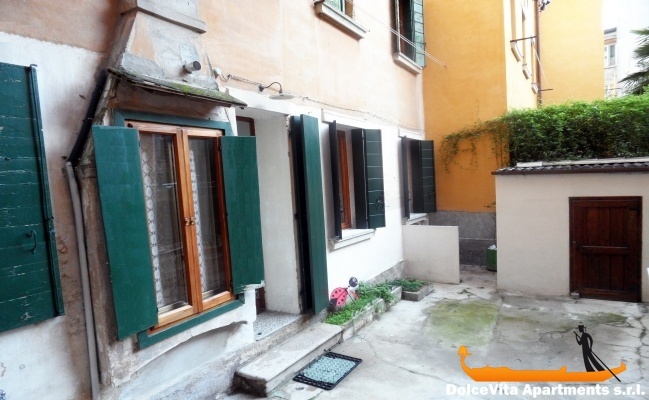 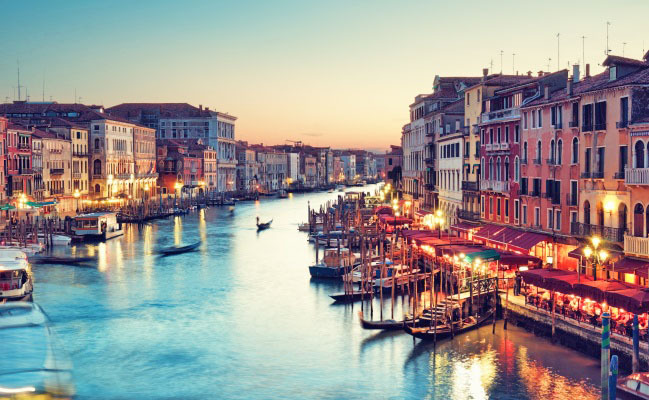 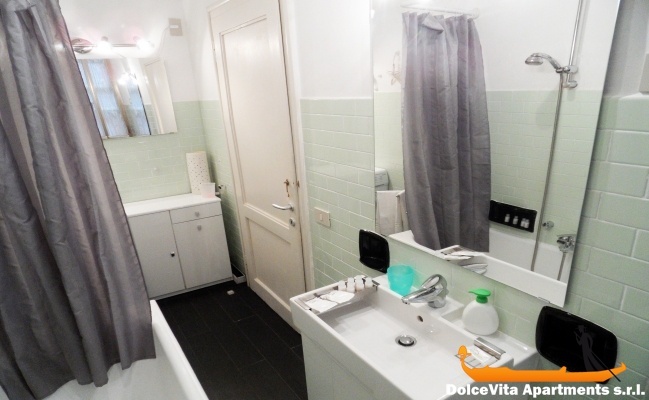 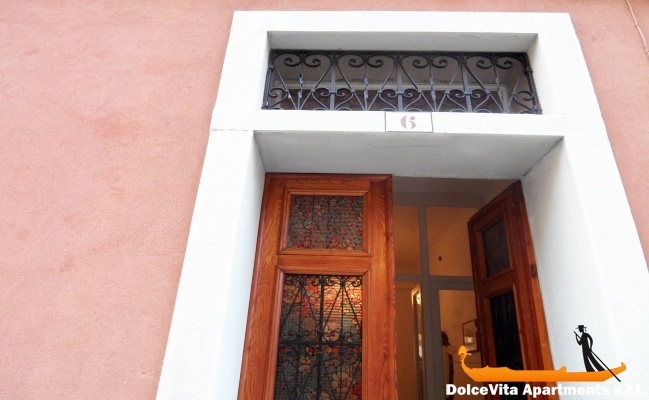 This beautiful apartment in Venice can accommodate up to six people and it is just ten minute walk from St. Mark's square. 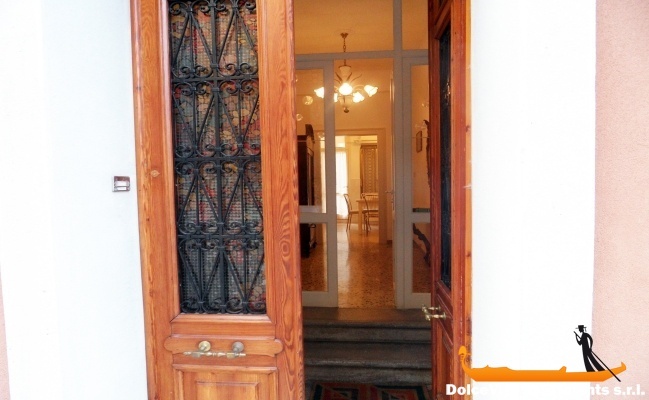 It was renovated in March 2012, it is on the ground floor and it has a private entrance with a beautiful glass window. 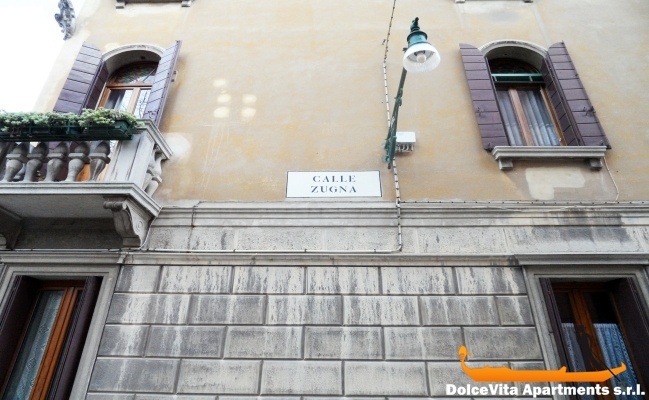 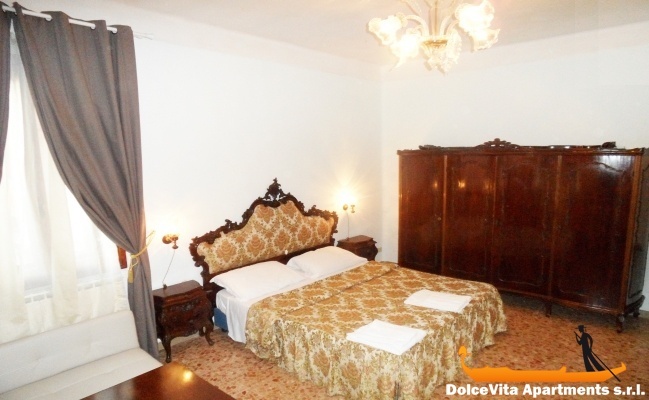 There are two double rooms, decorated in typical Venetian style; it is possible to add two single beds. 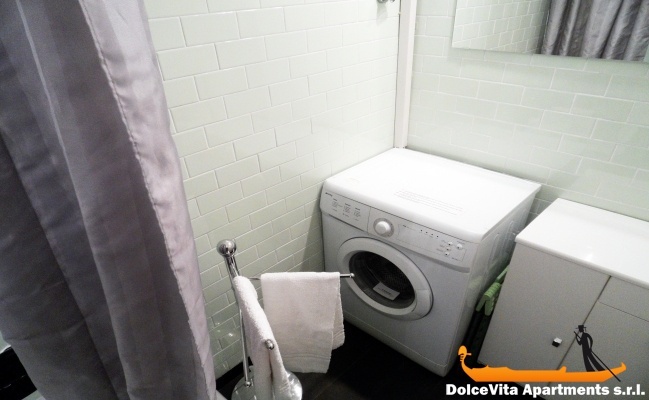 The bathroom has bathtub, window and a washing machine. 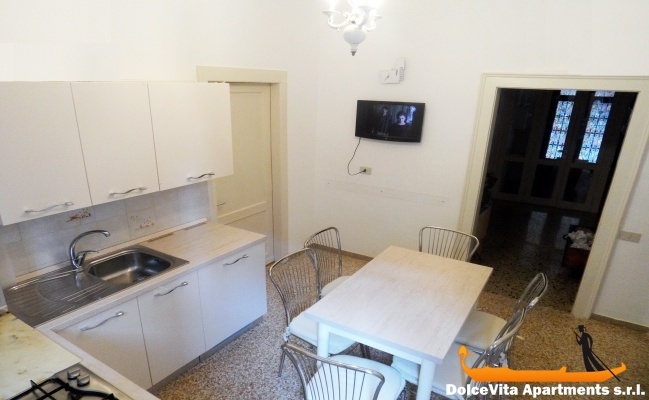 The kitchen is bright and well equipped (toaster, coffee maker, kettle, LCD TV), with a door that connected to the private courtyard where you can relax after a day exploring the wonders of the city. 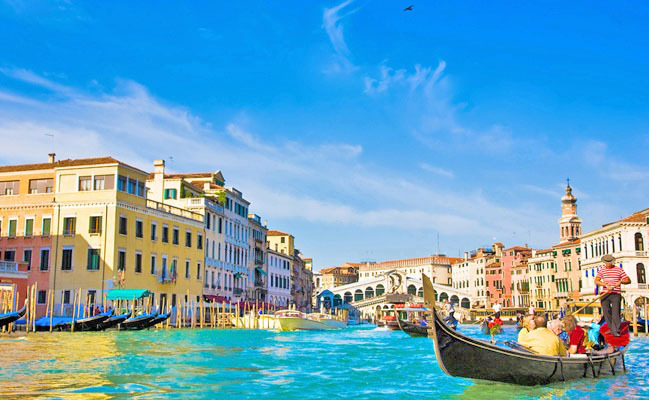 The vaporetto stop St. Elena is less than a minute walk and the Venice Biennale is a few steps. 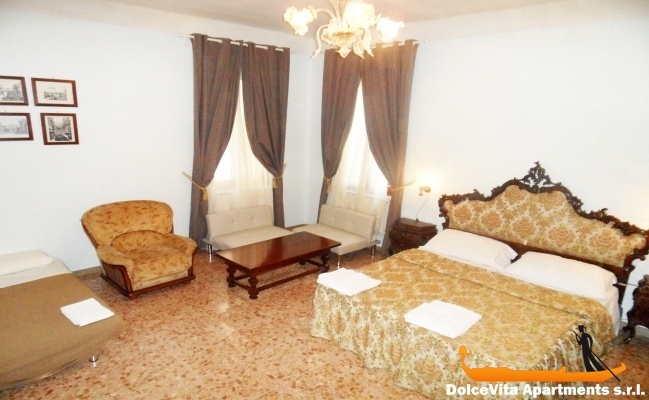 You will be immersed in a fantastic natural park in the historical city center. 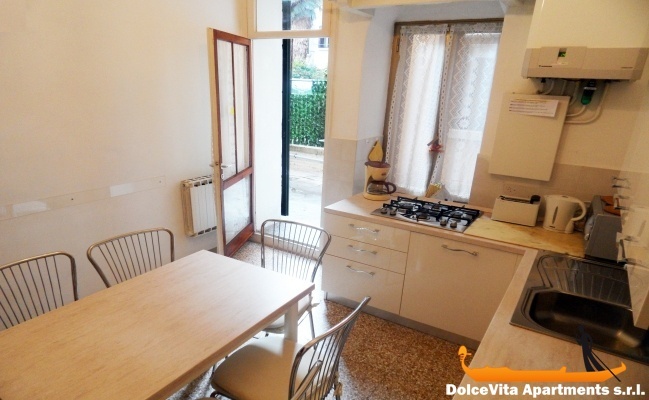 Well laid out apartment with independent entrance and a small outdoor space. 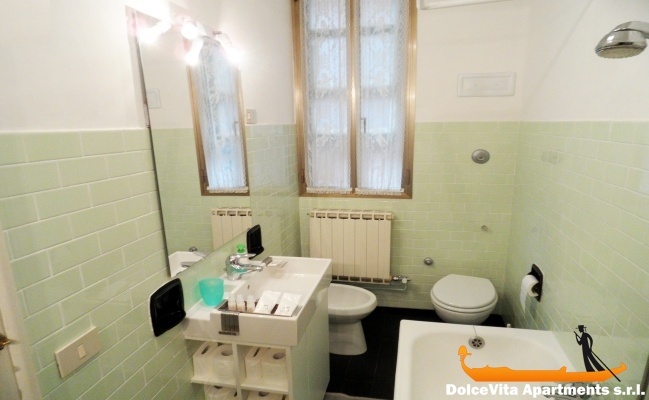 Rooms clean and comfortable. 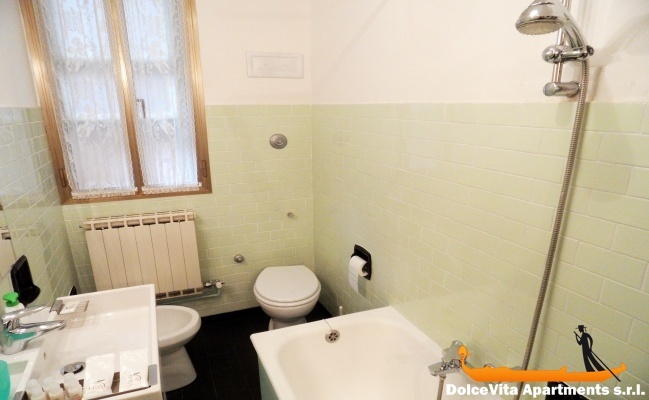 Bathroom small for the number of people that can accommodate the apartment..
Quiet area with shops on your doorstep and the beautiful neighborhood that overlooks the canal. 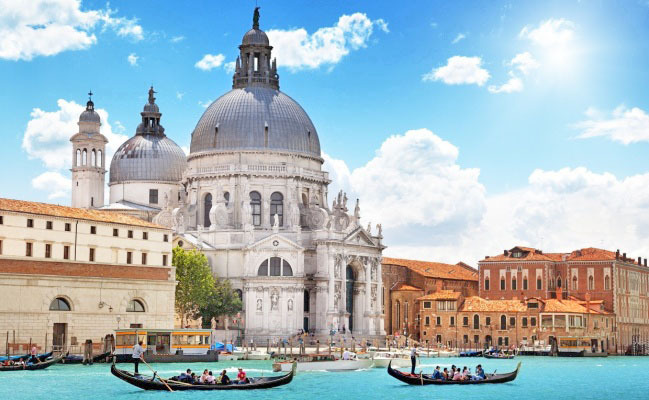 In ten minutes by boat, you get to Piazza San Marco.